All navies are switching over to stealth technology to enhance their first strike capability in case of conflicts. 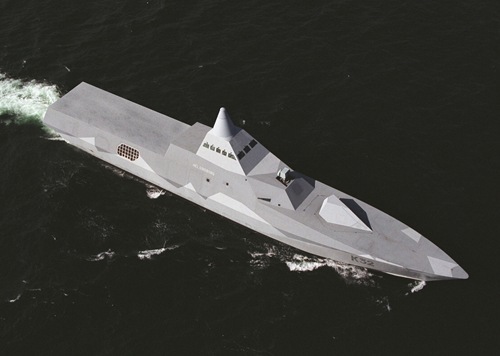 The Royal Swedish Navy is getting ready to operate Visby class corvettes designed with stealth technology by the year end. 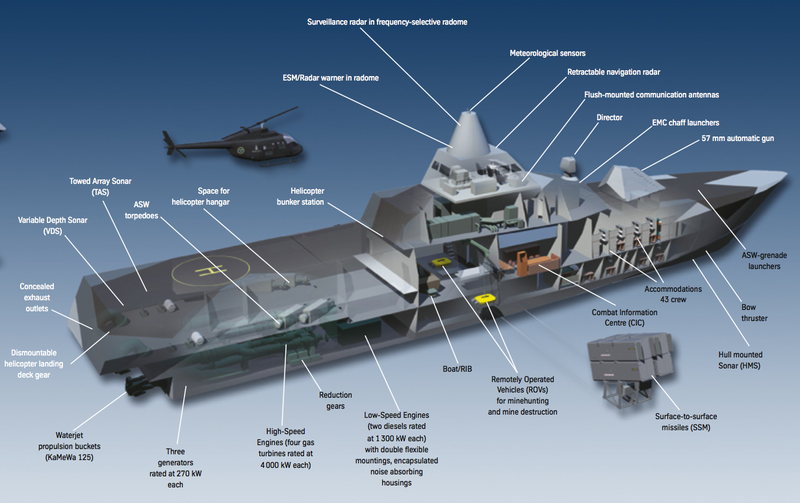 The construction was started in 1996 by Swedish shipbuilder Kockums. Four corvettes are already with FMV (the Swedish Defence Materiel Administration) for fitment of weapon systems and sea trials. detection range of 13 km in rough seas and 22 km in calm seas without jamming. detection range of 8 km in rough seas and 11 km in calm seas in jammed environment. constructed with composite (Carbon Fiber Reinforced Plastic) non-magnetic hull that features large, flat surfaces and sharp edges to lower its radar cross section, hydro acoustic, magnetic, infra red, optical signatures. to operate in shallow waters. to avoid detection by submarines. Visby (K31) was launched in June 2000 and was delivered to FMV in June 2002 for fitment of weapon systems. Helsingborg (K32) was launched in June 2003 and delivered in April 2006. Harnosand (K33) was launched in December 2004 and delivered in June 2006. Nykoping (K34) was launched in August 2005 and delivered in September 2006. Karlstad (K35) was launched in August 2006.
designed to operate light weight helicopter. 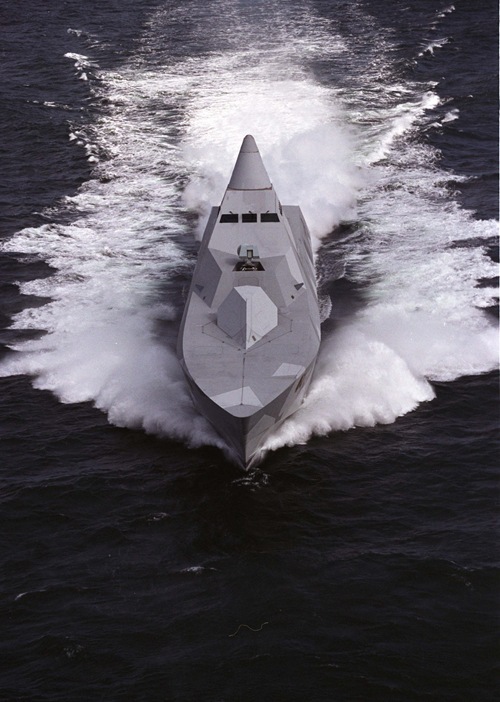 Here are some photographs of Visby class stealth Corvette from the shipbuilders Kockums AB, Sweden.